Well, 2009 has come to a close and what a year it has been! 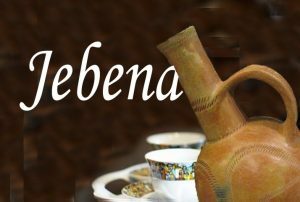 I am a regular of many Eritrean websites, particularly Awate.com, Assenna.com and to some extent Asmarino.com although mostly as an observer and occasionally as a sleepy participant. And starting last month, I have been visiting some of the paltalk homes (again as a passive participant only). The mix of articles and discussions echoed our misery and failures as a nation, as swell as our hopes. 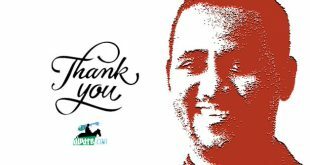 While I cannot summarize the events of the year in a powerful eloquence as did Hagos Ghezaee Berhe for the past decade[i], my reckoning is that the most debated points in 2009, in number and credence and the level of outrage they stirred and support they motivated, were: 1) Yosief Ghebrehiwot’s (YG) ‘(de)romanticizing Ghedli’, 2) Ali Salim’s (AS) ‘highland-lowland divide’, then 3) The Brussels Conference (BC) and now 4) the sanction on Eritrea by the UNSC (not in a particular order). This article will discuss mainly the first two points but also touch on the last two in line with the positions of the Eritrean opposition groups/parties. Out of the first two, the focus will be more on AS than on YG for the obvious reason that the former uses his opinion to influence perceptions and calls on people to act while the latter’s was limited only to opinion. The article is by no means a response to AS and YG but discusses some alternatives in addressing some of the important national issues related to land and communities. As indicated above, YG and AS have been some of our highlights in 2009. Starting with his Romanticizing Ghedli Part II, Yosef Ghebrehiwot (YG) told us that we are as divided as we were before the Italians conquered us, we don’t have the ingredient to make a nation state and what we fought for during the last 50 years or so is not probably worth it. 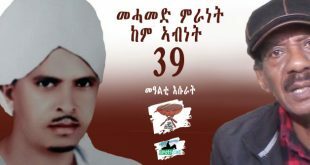 While YG was condemned by the older generation to the extent of naming him ‘tsere Ghedli’ and ‘anti Eritrea’, his ‘de-Romanticizing Ghedli’ gained a wider acceptance by the younger generation whose expectations about free and fair Eritrea where poles apart from what unveiled in the post independence period. The question is whose opinion matters most, the Ghedli generation or its product? While every parent thinks his/her time was better (ab gziena…, nHna n’ashtu kelona…), every parent also wishes and thrives for a better future for their daughters and sons. By that logic, we are all for ‘de-romanticizing’, may be not the way Yosef put it as seeing the Ghedli retrospective from the post independence era doesn’t really do justice to the Ghedli itself and to us as people[ii]. Ali Salim, in what seemed an extension of YG’s the ‘we are divided beyond repair’, has overwhelmed us with a barrage of articles that started with the ‘highland-lowland’ divide, then slowly but also by design shifted to the ‘Tigrinya-non Tigrinya’ and finally seems to have roosted home onto the ages old ‘Muslim-non Muslim’ divide. The strategy is very clear and has been mentioned in black and white by AS – encirclement of the Tigrinya. 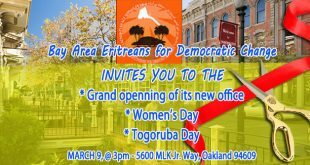 While the issue is very old and predates Eritrea itself, new developments in Eritrea (independence and with it Eritrean Government’s (GOE) land policy) and regional geo-politics have given it a different feel. 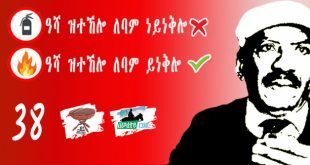 My opinion is this subject is probably the most debated among Eritrean circles and will continue to be. May be it will forever as it is in most countries. I tend to believe and want to believe that we are a rainbow nation of more than the 9 or 11 ethno-linguistic groups often mentioned. A nation that sees itself and thinks of a fixed people-geography relationship must be a very primitive and stagnant one and at best condemned to underdevelopment. It is ironic that these ideas of ethnicity, religion, and region-based politics[v] are coming from people who have left home many years ago and established life on someone’s ancestral land. [vi] Leaving the nostalgia and the want to preserve what we left behind aside, how many of us would choose to return to our ancestral land and live like our ancestors did? The problem in a country like ours, with mostly rugged topography, harsh climate, and ecology blighted with frequent droughts and over- and mis-use of natural resources and conflict accompanied by mass movement of people is that it is very hard to overlap language, ethnicity and religion to a specific region. Recently, in a televised debate hosted by the BBC, the leader of the British Nationalist Party (BNP) was asked to explain his anti-immigrant stance and the exclusionist policy of his party. Explicitly, he was asked what ‘British’ means and who the real Brits are. Except for the usual blabbering of a politician, Nick Griffin didn’t have a clear answer because there is none to it in a nation that once ruled the whole world and whose history is dominated by war, conquest and mass movement of people. [vii] Similarly, there are only a few cases where people can convincingly be associated with land in Eritrea (unless you do it by family groups). One way to see this is make GIS style layers based on the different characteristics (language, ethnicity, religion and region (this one is problematic, geographical characteristic on a geographical map but it can be done), etc). None of them would overlap perfectly and a few with some adjustment (Kunama, Afar and to some extent Nara). Even these three are very diverse within, characterized by conflicts and cooperation as they do with other ethnic groups. It is not out of coincidence that there is no a ‘Tigrinya Liberation Movement’ or a ‘Tigre Liberation Movement’ but there is a ‘Kunama Liberation Movement’ and an ‘Afar Liberation Movement’. [viii] And rumour has it now that a ‘Blin Liberation Movement’ is on the brew. There was once a ‘Tigray Peoples Liberation Front’ but in Ethiopia; it cannot happen in Tigray. One can have Eritrean Muslim League or Eritreo-Ethiopian Pentecostal Movement as there is Eritrean Jihad working for the rights of the Eritrean Muslim, but not Eritrean Muslim Liberation Movement, Eritrean Tewahdo Liberation Army or Eritrean Vegetarian Liberation Front. There are some realities that you cannot change but accept, and tolerance and positivity are born out of acceptance. I am always reminded of this by the beauty in the mosaic of people and culture in large and small towns in Eritrea that are at the ethno-linguistic-religious geographic transition. Or to do a Salih Gadi – ‘that you will get only in the waters of Keren’ – but the list should be long that includes towns like Tessenei, Foro, Hagaz, etc. I have no doubt which party Ali Salim would choose to dance to, between one that plays all and a monotonous night of only Kuda, Wosomya, Sali Goble… But to choose you will need to know what is on the menu. Leaving aside the fallacy that says there is a distinct ethno-linguistic and religion-based separation that can be linked to land; there are genuine grievances that need to be addressed. In my opinion, the marginalization and inequality in participation within and between groups in all sectors: education and civil service, business and trade, military and politics is more important than the land issue itself albeit difficult to separate from it in poor communities with direct dependence on natural resources like ours. The disproportionate representation of communities at the university and other higher education colleges is a good example. In my opinion, the decoupling of communities from land through education and modernization should be at the fore front in solving the problem. As the Indian saying goes – educate a person and don’t worry about his/her future. This approach is often ignored and we try to solve problems created by narrow politics by the same narrow politics that considers people as static as land they occupy. While we try that we also must not ignore the Ali Salims of our time as simple mavericks. After putting the jigsaw pieces together, you wonder if Ali Salim is an Eritrean-Muslim-lowlander-with-ancestral-land (all put together). Otherwise, the behaviour is simply too reckless for a person or a group with a high stake on Eritrea or a certain region to call for a Rwanda style civil war. This could only come from an outsider, physically, psychologically or culturally disconnected from the real issues and with no care for his/her community, which wouldn’t be spared if a civil war ensues.The question is a matter of perception not a matter of true or false, and most of our action depends on our perception. And society spongers know how to create and nurture false perceptions by exploiting genuine grievances and disillusionment. The only way to address false perceptions, therefore, is by attending the real issues that feed them. The diffuse reasoning and simplistic presentation of highly complex issue should be confronted seriously by able Eritreans before it falls on some naïve minds. Ali Salim, in one of his first articles, had indicated that the ‘encirclement strategy’ didn’t work the last time it was around and he is determined to make it work this time. As a wise and thorough person with a serious plan at hand, I am sure AS will set off his quest by asking – why it did not work last time around. Considering the outrage poured against YG and AS, some have concluded that we are doomed and fragmented beyond repair. I don’t agree. The intelligent and civilized discussions before and after YG’s and AS’s articles surfaced tell the opposite. 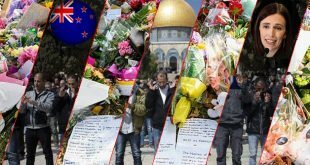 Most of the responses to AS’s messages of hatred, by Christian and Muslim and lowlander and highlander have been moderate, reconciliatory and positive. Irrespective of the way they were raised, all the discussions have indicated that there are some justifiable grievances. Therefore, it is natural and legitimate to ask where the opposition’s stance on this important matter for national strategy is. While the opposition could have a policy on paper, it is very hard to find any tangible evidence that it has produced to show for it. To be honest, I don’t even think the majority of Eritreans know about the opposition and I don’t think people care of what your agenda is when they don’t know you. Here is a guide. Choose any Eritrean between the ages of 20 and 30 in a random fashion and ask if they know a certain opposition leader that you think of. From my casual conversations with young Londoners from Eritrea, only a handful of opposition leaders are known to them. Interestingly, every one of them knows who Elsa Chyrum is (not opposition member) and her name is mentioned with affection for the simple reason that she tries to address the predicament of Eritrean refugees, something very close to their heart. While they recognise the existence of an opposition their unequivocal opinion about it is: nsatom dea zeysamamU (they are in discord). All they do is Split then Merge, then SS-M-SSS…and. And none of the people I spoke to approves of bringing change by a violent (armed) means, opposite to the position of many of the opposition groups. Talking of violent means, I recently attended a paltalk discussion whose guest speakers were from EDA, Abdella Adem and Asmelash Yohannes. Most of the questions were very general and the answers disappointingly more general. But thankfully that didn’t last long before suddenly a person who sounded like he is a member of one of the opposition factions dropped a bombshell. 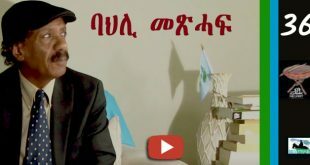 The person demanded explanation from the guests about a recent shoot-out that took place in Tigray between soldiers of different opposition groups. The story is that some members of one opposition group went to collect some guns from a certain ammunition cache and they were stopped by guards and not allowed to take guns. The group was not deterred by this and their insistence triggered a commotion that resulted in the shoot-out. Although neither the person who raised the issue nor Yohannes mentioned any casualties, Yohannes indicated that the Tigrayan Police had to interfere and some of the people involved in the shoot-out were put in detention for disrupting peace and causing unrest in the neighbourhood. Many of the public that participated at that paltalk forum were in disbelief of what we heard. Funny of all, there was this person (I think a lady) who kept on repeating sending the texts: wey gud, wey gud, wey gud… kemzi kea alo!. Since that evening the words have been buzzing in my head – wey gud, wey gud, wey gud… kemzi kea alo! While 2009 brought heated debates, conferences and resolutions it also further exposed who the Mr Wonderer is. 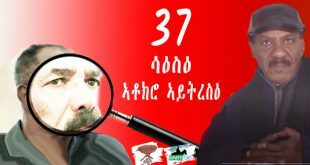 Can a disunited and inactive opposition earn credibility from Eritreans (and non-Eritreans)? 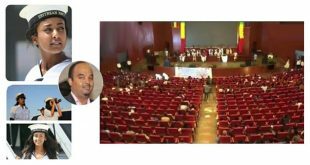 Can a dispirited opposition, that lacks vision (except overthrowing the GOE) and is unknown to young Eritreans have the legitimacy to condemn respectable Eritreans and friends of Eritrea for bringing up important issues to the global stage (e.g. Brussels Conference)? A credible opposition would try to accommodate any help that comes its way whether from civic society groups or individuals. The Brussels Conference was attacked by the opposition and other Eritrean groups mainly for being less inclusive. Inclusiveness, while an issue in my opinion, it is not a big one at this stage. If they have a genuine heart, even a single individual, irrespective of his/her religion, ethnic group or region can represent us. Now with the sanction by the UNSC on the Government of Eritrea, there is a lot of harping going on in opposition forums. 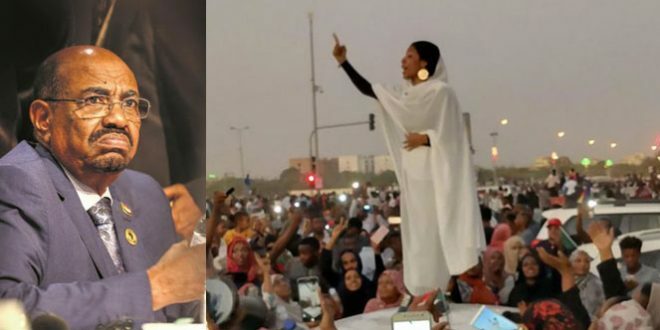 But before thinking Asmara, the opposition groups need to reassess themselves why they have failed to connect with the people. 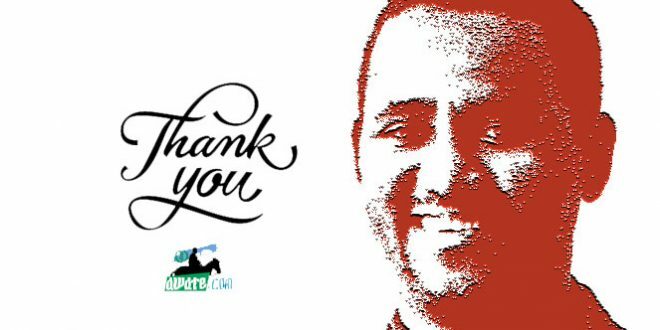 While we know the main cause of the disillusionment is failure of the GOE to address our national issues, the weakness of the opposition creates continued speculation and uncertainty – a fertile ground for opportunists the Ali Salims. 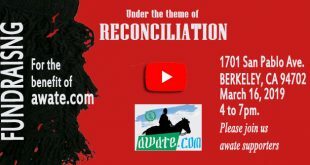 [i] Hagos Ghezaee Berhe, Awate.com, Dec. 29, 2009. [iii] Mixed race is a misnomer as there is only one human race. [iv] Tequrir and Jebeli are often used mostly in a derogatory way. The intention here is only to show their presence as entities. [v] Many of the Eritrean opposition groups have these as their core agenda. [vi] I am not implying that all have left for good reasons and wily fully; in fact most were forced to leave. [vii] Nick Griffin, BBC TV interview (23 Oct, 2009; http://news.bbc.co.uk/1/hi/8321683.stm). [viii] These are not the exact names of the movements for the rights of the Afar and Kunama peoples. Previous ስርዓት ህግደፍ፡ ሕጂ’ኸ ናበይ?